The Architecture of Information Systems (AIS) research group investigates methods, techniques and tools for the design and analysis of process-aware information systems, i.e., systems that support business processes (workflows) in organizations. We are not only interested in these information systems and their architecture, but also try to model and analyze the business processes and organizations they support. The research concentrates on formalisms for modeling and methods to discover and analyze models. On the one hand formal methods are being used, e.g., the group has a long tradition in Petri-net modeling and analysis. On the other hand, we are interested in modeling languages widely used in industry (EPCs, UML, BPMN, BPEL, etc.). In contrast to many other research groups we do not accept a model as an objective starting point, i.e., we also try to discover process models through process mining and check the conformance of models based on reality. The AIS group tries to make research results accessible by providing (open-source) software. Notable examples are ProM (process mining and process analysis) and YAWL (workflow management). These implementation efforts illustrate that the problems of tomorrow’s practice are the driving force behind the development of new theory, methods, and tools by AIS. Prof.dr.ir. Wil van der Aalst is a full professor of Information Systems at the Technische Universiteit Eindhoven (TU/e). He is also the Academic Supervisor of the International Laboratory of Process-Aware Information Systems of the National Research University, Higher School of Economics in Moscow. Moreover, since 2003 he has a part-time appointment at Queensland University of Technology (QUT). 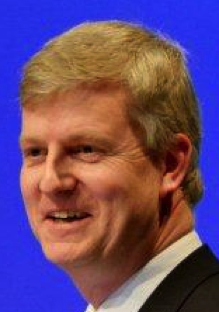 At TU/e he is the scientific director of the Data Science Center Eindhoven (DSC/e). His personal research interests include workflow management, process mining, Petri nets, business process management, process modeling, and process analysis. Wil van der Aalst has published more than 175 journal papers, 17 books (as author or editor), 400 refereed conference/workshop publications, and 60 book chapters. Many of his papers are highly cited (he one of the most cited computer scientists in the world and has an H-index of 115 according to Google Scholar) and his ideas have influenced researchers, software developers, and standardization committees working on process support. He has been a co-chair of many conferences including the Business Process Management conference, the International Conference on Cooperative Information Systems, the International conference on the Application and Theory of Petri Nets, and the IEEE International Conference on Services Computing. He is also editor/member of the editorial board of several journals, including Computing, Distributed and Parallel Databases, Software and Systems Modeling, the International Journal of Business Process Integration and Management, the International Journal on Enterprise Modelling and Information Systems Architectures, Computers in Industry, Business & Information Systems Engineering, IEEE Transactions on Services Computing, Lecture Notes in Business Information Processing, and Transactions on Petri Nets and Other Models of Concurrency. In 2012, he received the degree of doctor honoris causa from Hasselt University in Belgium. In 2013, he was appointed as Distinguished University Professor of TU/e and was awarded an honorary guest professorship at Tsinghua University. In 2015, he was appointed as honorary professor at the National Research University, Higher School of Economics in Moscow. He is also a member of the Royal Netherlands Academy of Arts and Sciences (Koninklijke Nederlandse Akademie van Wetenschappen), Royal Holland Society of Sciences and Humanities (Koninklijke Hollandsche Maatschappij der Wetenschappen) and the Academy of Europe (Academia Europaea). ir. 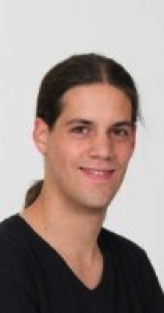 Maikel van Eck is a PhD student within the AIS group where his main research is in the area of process mining. More concretely, his research focusses on the use of process mining techniques to investigate the relations between the behavior of people and their health. Applications of this are found in the area of work-related stress management. Other research interests include event aggregation, pattern prediction and process mining case studies. ir. 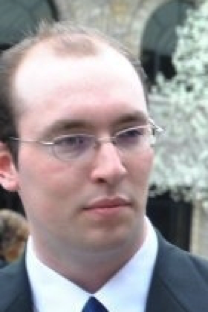 Bart Hompes is a PhD student within the AIS group where his main research is in the area of process mining. More concretely, his research interests include process mining in healthcare, trace clustering and mining the social aspects of processes. ir. 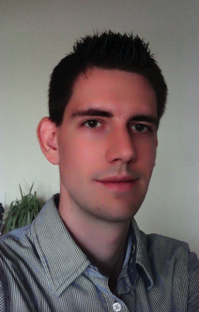 Maikel Leemans is a PhD student within the AIS group where his main research is in the area of process mining. More concretely, his research interests focus on the analysis of software, where he looks at finding common usage patterns, possible deviations and options how to improve the usage process by changing the software. ir. 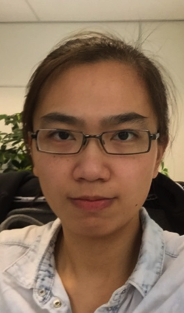 Xixi Lu is a PhD student within the AIS group where her main research is in the area of process mining. More concretely, her research interests include conformance checking, partial orders and trace clustering. ir. 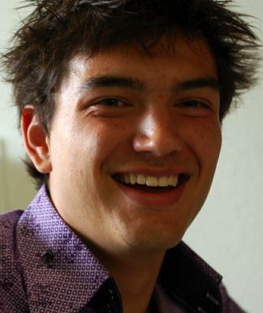 Niek Tax is a PhD student within the AIS group where his main research is in the area of process mining. More concretely, his research interests include seasonality detection, deviation detection, predictions and recommendations based on process mining techniques. ir. 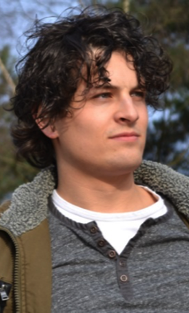 Bas van Zelst is a PhD student within the AIS group where his main research is in the area of process mining. More concretely, his research interests focus on analysing event streams without storing (too much) data.